We’re only a few weeks away from the Nov. 5 release of the The Marshall Mathers 2 LP, Eminem’s long-awaited follow-up to his 2000 smash and with the recent unveiling of the album’s track list and cover, it looks like the wait will be well worth it! Keeping with tradition, Eminem has collaborated with a diverse roster of artists on the album including Kendrick Lamar, Skylar Gray and Nate Ruess of fun. Of the 16 tracks on the album (including a skit!) “The Monster” is sure to be the most anticipated as it features a certain big booty beauty from Barbados … Rihanna!!! Who knows what the song is about (Chris Brown? Sasuke Uchiha?) but I’m sure it’s going to be dope! While Em’s mentor Dr. Dre won’t be rapping with his protege he did executive produce the album (along with fellow legend Rick Rubin) so expect some beats by Dre! 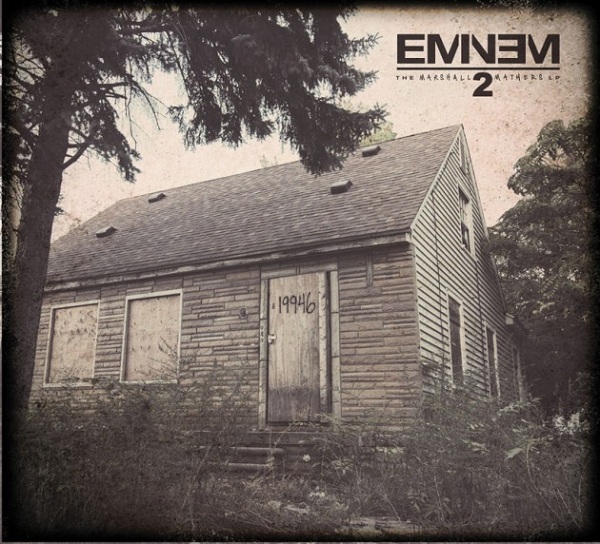 The Marshall Mathers 2 LP will also include previously released singles “Berzerk” and “Survival” a song featured on “Call of Duty: Ghosts” which happens to be my least favorite title in the “Call of Duty” franchise for reasons I’m sure you can imagine! Are you excited for The Marshall Mathers 2 LP? Let us know in the comments below! Scene’s Pic of the Week!!! KISS! KISS! KISS!